How many times you’ve wanted to keep or move your buildings or bases from one place to another? Travelling House 1.6.4 enable us to keep our building or buildings in planes and later translate them into those new worlds where we are. These planes cover an area with dimensions of 50 x 256 x 50 blocks, which represent the height 256 and the other two, the width and depth. Even if you have higher-dimensional constructions, you can always use several planes and give a specific name to differentiate and then merge them into the surface world. These plans not only buildings can be saved, but it will also keep the animals you have on a farm, for instance. So save the content that is within its area of ​​operation, regardless of the content contained within. 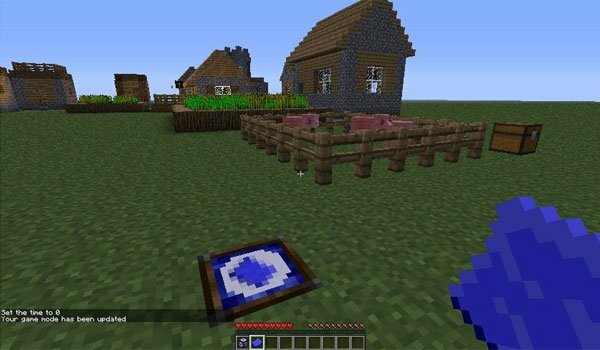 How to install Travelling House Mod for Minecraft 1.6.4? Saves the contents of your world and make the move!